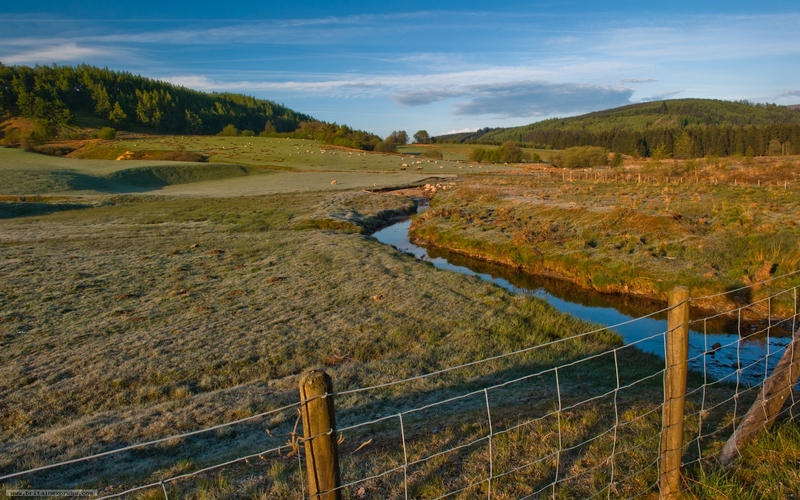 Afon Biga is a small river that flows into the Llyn Clywedog reservoir, north of Llanidloes, Powys. We were staying nearby, on the edge of the Hafron Forest, so I got out at dawn for a walk along the forest road. I saw this view beside the road bridge across the Biga, with first light catching the frosty fields.